The military leader - condottiero in Italian - Niccolò III d’Este was born on this day in 1383 in Ferrara. He was the son of Alberto d’Este, Marquis of Ferrara, and became ruler of the city when he was just ten years old on the death of his father, under the protection of Venice, Florence and Bologna. 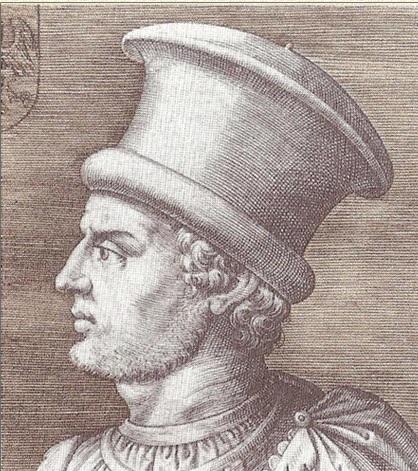 A relative, Azzo d’Este, who was working for Gian Galeazzo Visconti, Duke of Milan, tried to attack Ferrara, but Venice, Florence and Bologna helped Niccolò see off the challenge to his rule. In 1403 Niccolò joined the league formed against the Duke of Milan and was appointed Captain General of the Papal Army by Pope Boniface IX. At the age of 13, Niccolò was married for the first time, to Gigliola da Carrara, the daughter of Francesco II da Carrara, Lord of Padua. Although his first marriage was childless, he fathered an illegitimate son, Ugo, in 1405. After the death of his wife, he was married for a second time to Parisina Malatesta, the daughter of Andrea Malatesta, and they had three children. In 1425, Niccolò had Parisina and Ugo executed on charges of adultery, accusing them of having an affair. At the same time he issued a decree that all women within his domains found to be guilty of adultery were to be put to death, although he had to rescind this order once it was determined that this action would depopulate Ferrara. He married his third wife, Ricciarda of Saluzzo in 1429. She bore him two children. In total he had five legitimate children and at least 11 illegitimate children. 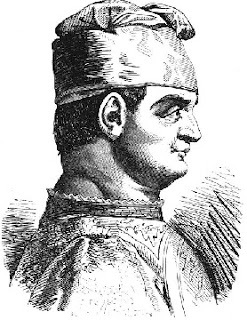 Niccolò steadily established his reputation as an able military leader with a number of successful campaigns but it was Ferrara's role in brokering a peace between Milan and Venice in 1432 that particularly boosted the city's prestige. 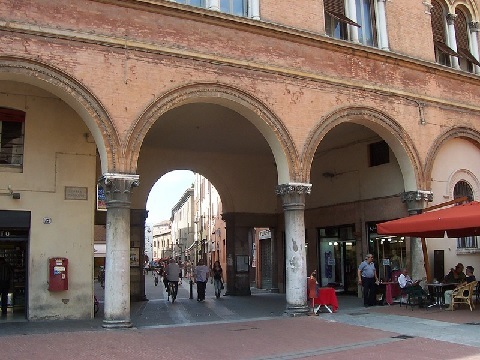 As a result, Ferrara was chosen to be the seat of a council in 1438. Niccolò died in Milan on Boxing Day in 1441 after the Christmas feast and it was widely suspected he had been poisoned. He had been invited to Milan apparently in friendship by Filippo Maria Visconti, the Duke of Milan, whose father, Gian Galeazzo, Niccolò had previously been in league against. He was succeeded as Marquis of Ferrara by his illegitimate son, Leonello d’Este, who concentrated on sponsoring the arts and literature to the benefit of the city. The d’Este family ruled the city of Ferrara in Emilia-Romagna between 1240 and 1598. You can still see the narrow, medieval streets to the west and south of the city centre, between the main thoroughfares of Via Ripa Grande and Via Garibaldi, which were the original core of the city in the middle ages. Building work on the magnificent, moated Este Castle (Castello Estense) began two years after Niccolò’s birth and it was added to and improved by successive rulers of Ferrara until the end of the Este line. The castle was purchased for 70,000 lire by the province of Ferrara in 1874 to be used as the headquarters of the Prefecture.